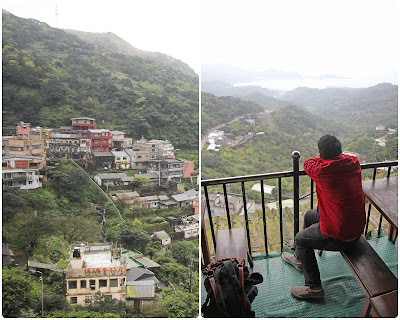 AiClay - a Haven of Miniature Food: Back from Taiwan, and an announcement. Back from Taiwan, and an announcement. It was a wonderful 10 days in Taiwan, and everyday was pretty chilly much to our delight, hailing from forever-sunny Singapore. Which explains my outfit below on the first day, complete with orange socks. 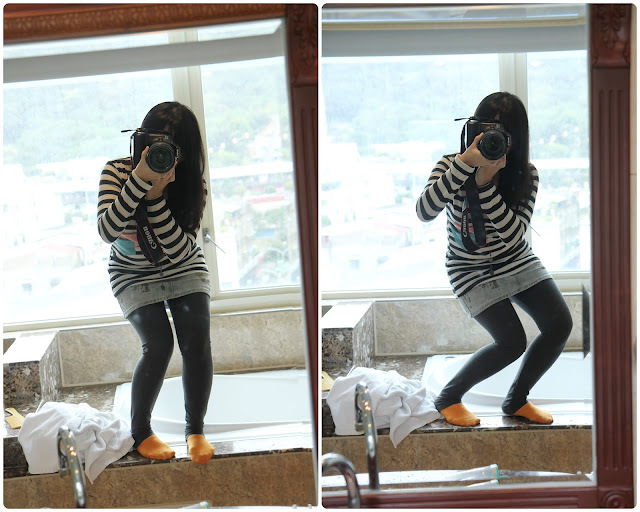 And that was just what I wore in the hotel room. When we headed out for shopping and meals I had to put on boots and a thick coat. 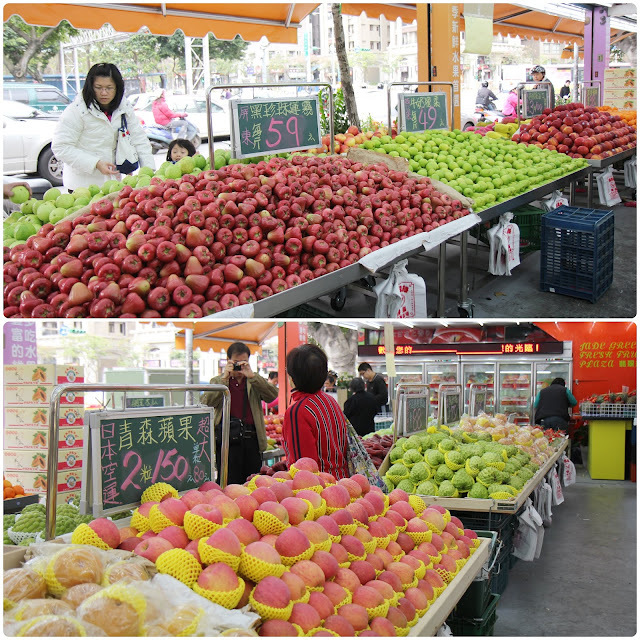 Taiwan is famous for their fruits, and almost every kind I tried was sweet and juicy. This was snapped at a 24 hour fruit stall near the first hotel I stayed in. We also travelled up on this hilly village called 九份 in taiwan. There were many tea cafes which had beautiful views like these, where you could sip hot tea and just marvel at nature and architecture. 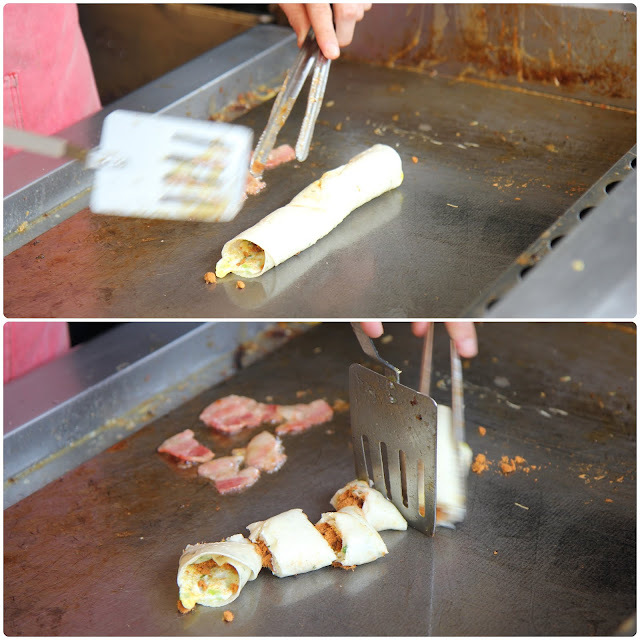 Another famous feature of Taiwan is their 早餐店, breakfast cafes. I wish I had more time to visit them, definitely a must-do when I return! I ordered this - it's a egg pancake filled with pork floss and vegetables, pretty delish! That's enough for Taiwan photos for now, there'll be more to come! Since returning home, I've been preparing for the next big thing in AiClay - opening up a limited commissions list. This has been on my to-do list for a long time, as it would free up some time for sculpting what I have in mind apart from fulfilling commissions. Hopefully the store will be stocked more regularly too, with new items. This means that apart from those who have got a slot on the list, I would not be accepting other commissions. This applies to miniature food props, displays, accessories etc. For all those who are interested in nabbing a slot (and there are really very limited slots), do stay tuned when it hits 1 April here. Slots will be given by first come first served. I'll be posting up more details then, in the meantime you can head to the Commissions FAQ tab above to find out more. P.S Don't worry it's not a April Fool's joke haha. 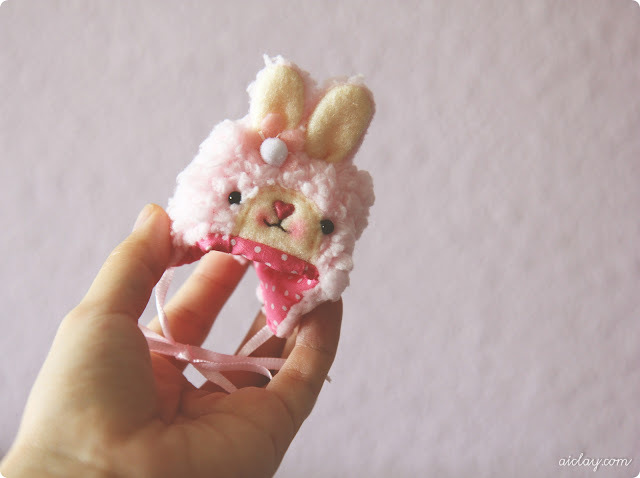 Ending off with a snapshot of Peggy's miniature bunny hat that I commissioned from her. Isn't that heart-nose the cutest thing ever! oh! i love that cute little bunny hat, is so adorable! I hope you had wonderful trip in Taiwan. I miss Taiwan's egg rolls and fruits so much! mintwonderland: haha it is isn't it! amy: teehee, you noticed! :) i like them too!